TREATMENTS FROM AS LITTLE AS £10! Lawnsavers Lawn Treatment Services are quickly becoming established as the Cheshire number one lawn care service. Lawnsavers is an independent lawn treatment and lawn maintenance service based in Runcorn who are committed to providing a high standard of lawn care to both domestic and commercial customers at an affordable price. Lawnsavers lawn care treatment service is proud to offer professional and affordable lawn treatment to the following areas of the North West of England; Runcorn, Widnes, Warrington, Frodsham, Helsby and the surrounding areas. Our treatments start from as little as £10. The owner is a lawn care expert, who is National Proficiency Training Council (NPTC) licensed. Our lawn care treatments include: Pest Control for Leather Jackets and Chafer Grubs, Hollow Tine Aeration, Scarification, Lawn fertilization, Lawn weed control, Moss control and Disease control – Call today for an immediate quote. 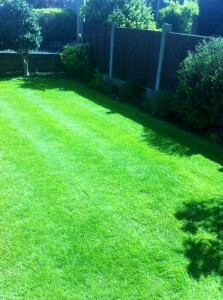 Lawnsavers Lawn Treatment Services is based in Runcorn Cheshire. Lawnsavers Lawn Treatment Services is a small business providing a friendly personal service. Lawnsavers Lawn Treatment Services is quickly becoming established as Cheshire’s number one lawn care services. Lawnsavers Lawn Treatment Services are passionate about growing healthy beautiful lawns and in providing affordable high quality lawn treatment services. At Lawnsavers we only use top of the range products and our treatments are carried out by no one else apart from the owner of Lawnsavers who has over 23 years experience of treating thousands of lawns and giving successful lawn advice to thousands of people over the years so you know you are in safe hands. We are passionate about Lawns! Lawnsavers Lawn Treatment Service is one of the Northwest’s leading Lawn Treatment Service Providers. YOU CAN PAY FOR YOUR TREATMENTS BY DIRECT DEBIT, STANDING ORDER, BANK TRANSFER or CHEQUE. This costs from as little as £10 and is carried out between March to May. The lawn might not look great at this time of year following winter especially if scarification has been carried out so a suitable mini granular controlled release feed is applied to thicken and green the lawn up and get it growing well. If any weeds are present a weed killer will also be applied. Starting at £10, the Early Summer treatment is carried out between May to July: The feed from the Spring treatment will nearly be depleted by now so a mini granular controlled release feed with nutrients suitable for your lawn’s particular needs is applied to maintain the health and colour of the lawn. If any weeds are present a weed killer will also be applied. The Late summer treatment carried out between July to September and again costs from as little as £10. The feed from the early summer treatment will nearly be depleted so a mini granular controlled release feed is applied with nutrients suitable for your lawn’s particular needs to maintain the health and colour of the lawn. If any weeds are present a weed killer is also applied. From as little as £10, Autumn/Winter treatment is carried out between October to February. At this time of year moss starts to grow so a liquid autumn and winter treatment containing moss controller and autumn and winter feed is applied. This treatment will not cause the grass to grow but will strengthen the grass and control moss; this treatment will usually last about 2 months on average so an additional treatment may benefit the lawn if moss is present, but we will advise you which treatments are best to be carried out and when. Between December to February and from as little as £10, an additional Autumn and Winter treatment could be applied if moss is present in the lawn in the autumn. Starting at £20, Hollow Tine Aeration could be carried out to benefit the lawn or if soil compaction is present. Finally, from £30, Scarification could be carried out if Thatch or Moss are present. Other services we can provide (if they are needed) are control for leather jackets and chafer grubs, disease control, wetting agent and growth regulation. Lawnsavers Lawn Treatment Services objectives are to be the Northwests’ premier lawn care specialists; this will be realised through our keen pricing policy and our customers recommendations. Already the grapevine is buzzing: My mother was in the local garden centre just the other day when she over heard a customer telling her friend how the gentleman from Lawnsavers had drastically improved the quality of her lawn and all the weeds had disappeared! surrounding areas, including Widnes, Frodsham and Helsby. Lawnsavers objectives are to provide a professional, friendly, local and affordable service. Call today to book a no-obligation appointment from one of the northwest’s leading lawn care treatment specialists. Lawnsavers provide affordable, professional lawn care treatment, advice and tips around Runcorn, Warrington, Frodsham and Helsby in Cheshire; also Widnes in Merseyside. We remove pests, disease, moss, weeds and provide seasonal treatment leaving grass green and healthy. We offer a free inspection and no obligation quote. Copyright © 2015, Lawnsavers, Runcorn, Cheshire. All Rights Reserved.